This design exemplifies what custom design is really all about. 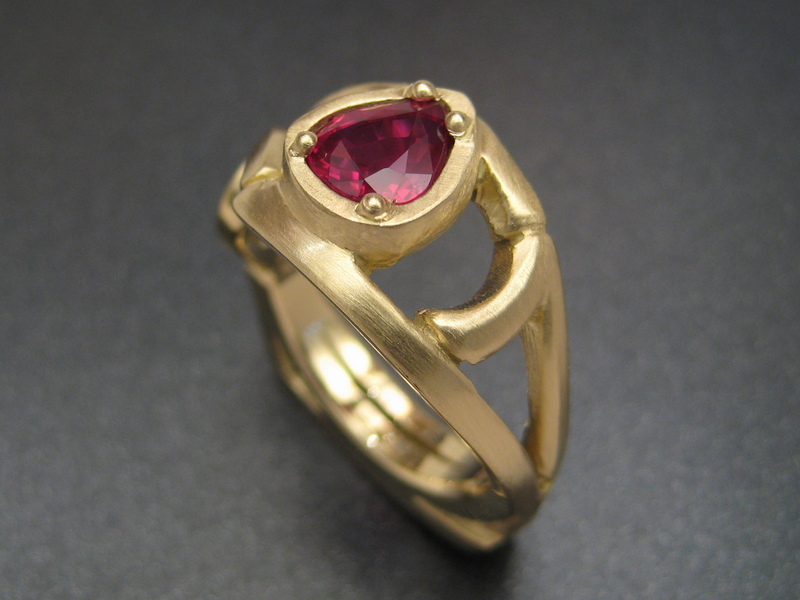 This woman has been commissioning work from me for thirty years and is a complete ruby junkie. 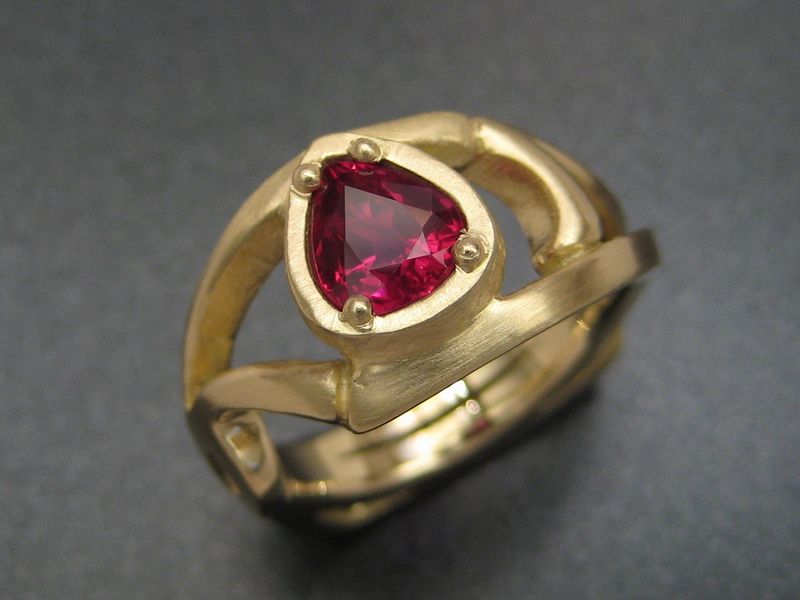 Some people are as committed to their particular stone of choice, often a birthstone, as others are to their family members or political party. 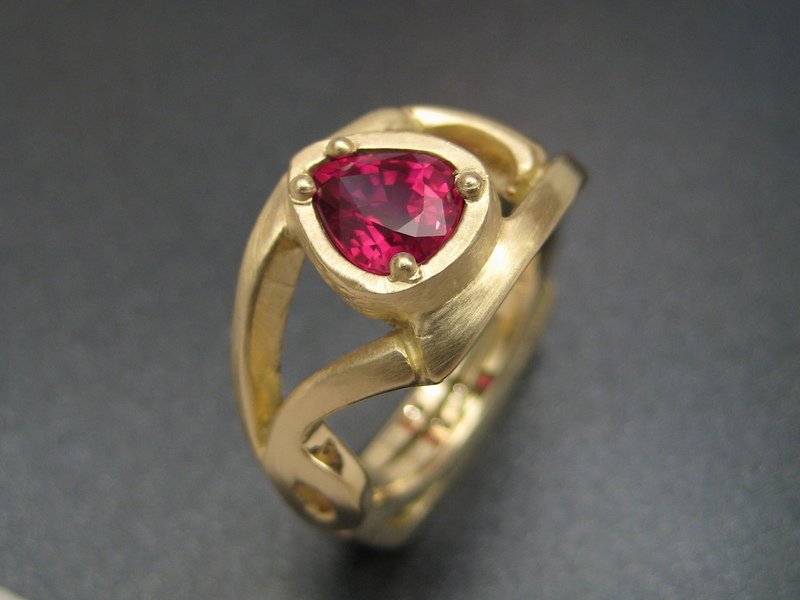 Ruby is a common fixation like pearls or jade. For these individuals other stones, no matter how wonderful, mean little and there is no cure other than another stone. I love these people! After trying and rejecting several ideas we settled on a pictorial depiction of her birth date comprised of, in no particular order, a 6, two 2’s a 7 and a zero. If you examine the sides and flanks of the ring you’ll discover these digits depicted in a florid style. 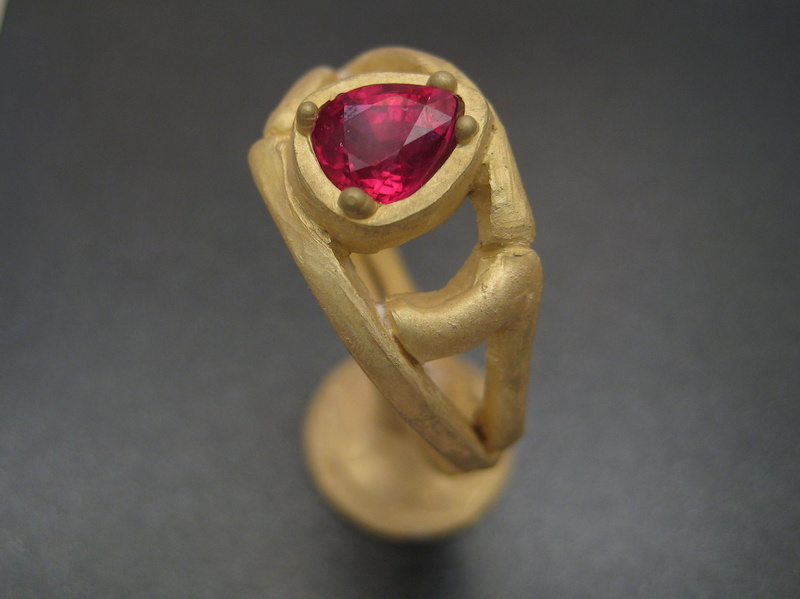 The ring itself was cast in 18K yellow gold and holds a truly beautiful pear shaped ruby which weighed slightly more than a carat. 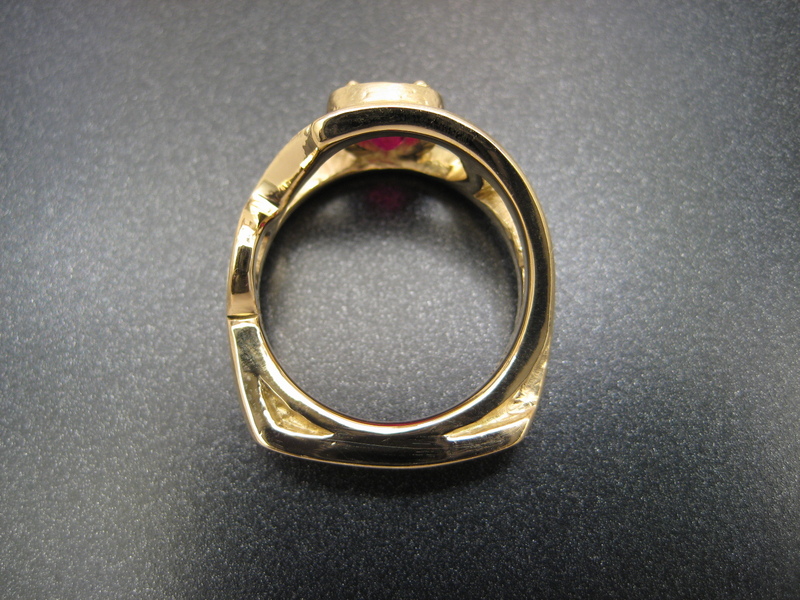 The ring is finished with a soft satin surface which I believe best shows the inherent beauty of the gold. The last image actually depicts the ring as a rough casting right out of the cooling bath, note the touch of casting plaster inside the crevices.